A woman has been racially abused on a flight from Barcelona to London on Friday when she went to take her seat next to the man, he said some disgusting things to the elderly Jamaican woman which were caught on video. 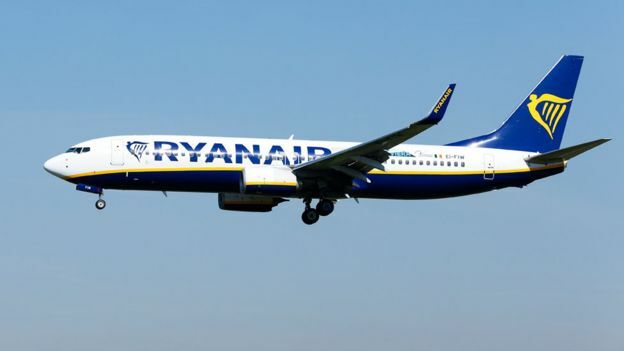 The airline, Ryanair, have been criticised for the way they dealt with the situation as they did not remove the racist man from the aircraft or seat and instead the victim ended up moving seat which caused backlash from passengers and the public on social media. The incident took place on Ryanair flight FR015 from Barcelona to London Stansted just before takeoff, in the video which was posted on social media by a fellow passenger, the woman's daughter attempts to stand up to him telling him her mother is disabled but the man replies "I don't care whether she's f***ing disabled or not - if I tell her to get out she gets out." The man then calls the woman, who is 77 years old, "an ugly f***ing cow" and demands that staff get the elderly woman to move to another seat then saying "if you don't go to another seat i'll push you to another seat". Airline staff didn't appear to do much to try and keep the man quiet however a passenger on the row behind did his best to intervene and stop the man from saying the disgusting things he was saying. Ryanair have tweeted a small statement on the matter. Let us know what you think about this situation in the comments below!